We appreciate some of our customers will make long journeys to come and visit. We advise if you are making such a journey to book an appointment with us by telephoning the shop. We will then be able to check our stocks and reserve items for you, confirm shop opening times and provide you with any additional information. By visiting our shop you will be able to try in person our stock and take advantage of our product knowledge. In stock products displayed on our website are also available to purchase at out Mansfield shop. Car parking is available at the nearby Rosemary Centre which is just 100m from our shop. Free on street parking is available on Layton Avenue which is directly opposite our shop. 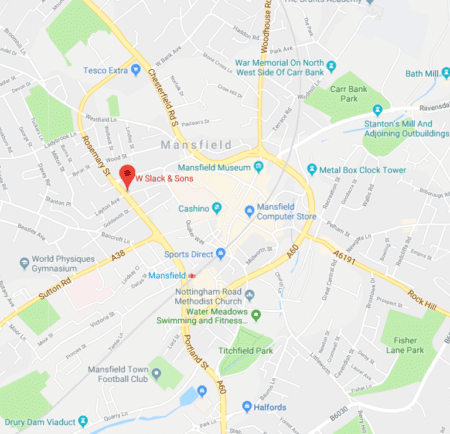 Mansfield’s bus station and railway station are just a 2 minute walk away. We look forward to meeting you and assisting you with your outdoor adventures.